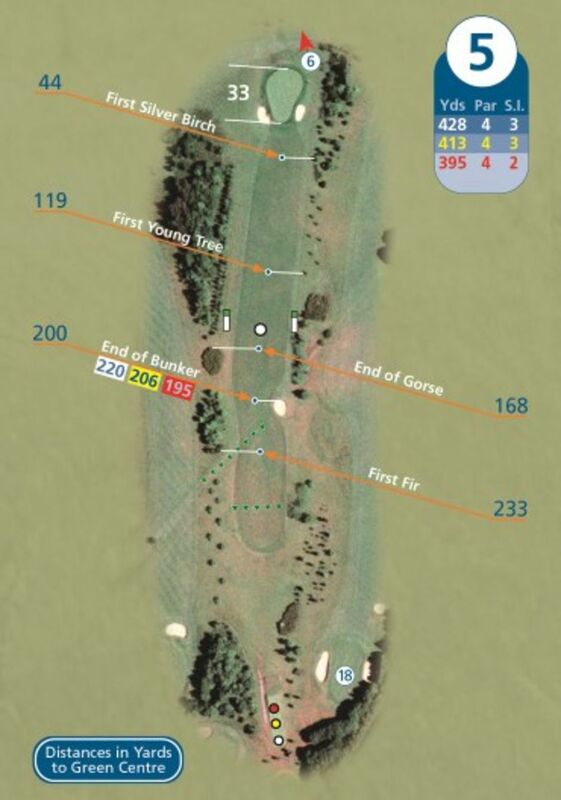 Excellent driving hole and at over 400 yards a challenging one. The longer hitters may carry the fairway bunker, but still be punished by a large group of conifers to the right and more gorse and trees to the left. The approach is uphill to a very narrow green, again with bunkers left and right.